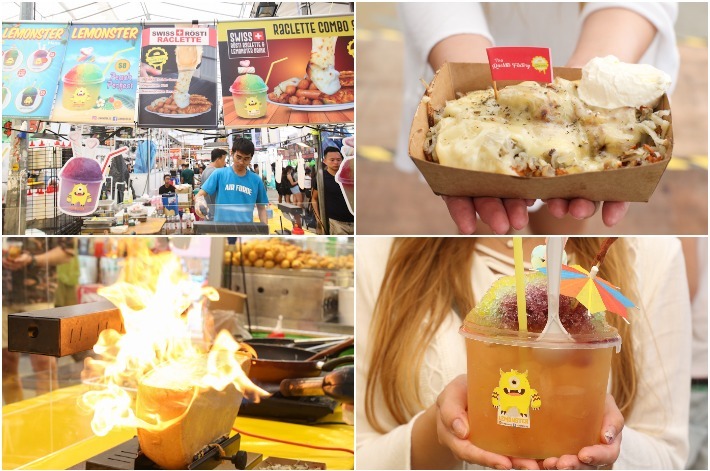 With Ramadan just around the corner, Singapore’s biggest pasar malam event is back again this year—yes, it is the highly anticipated Geylang Serai Ramadan Bazaar! Soak in the festive vibes and exciting atmosphere at the night market which will be running from 12 May to 14 June 2018 along Haig Road and the Malay Village. 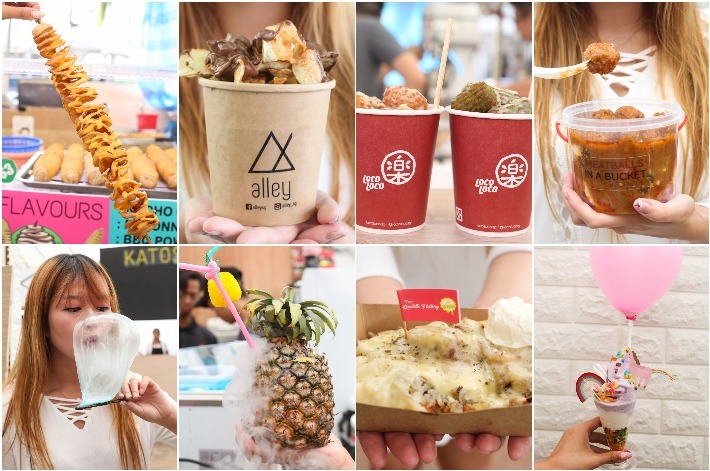 This year’s Geylang Serai bazaar proves to be equally spectacular—featuring both classic, traditional Muslim cuisine to creative hipster food that is created to stand out on your social media feeds. The plethora of street food and Halal delights that are offered at hundreds of stalls in this massive bazaar is nothing short of impressive and it will probably take you more than one visit to see everything. As usual, admission to the Geylang Serai Ramadan Bazaar is free so there is really no reason why you shouldn’t be making plans with your family and friends to be a part of the buzzing Ramadan festivities these few weekends! 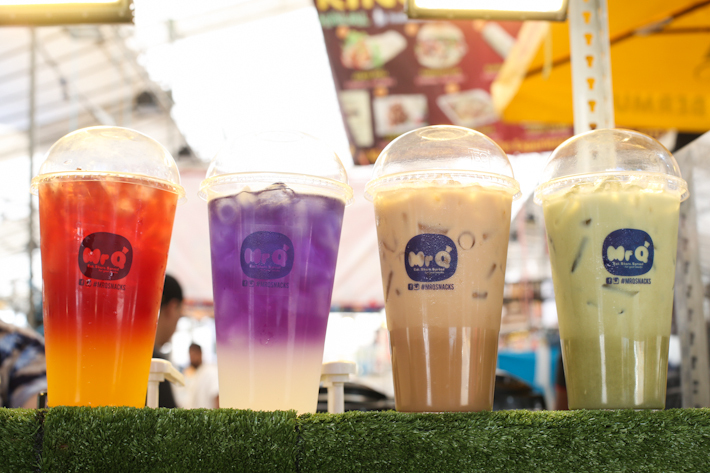 Quench your thirst with the refreshing Passionfruit & Mango Butterfly Pea Soda (S$5). The carbonated drink is very much welcomed when you are dealing with the extreme heat and it doesn’t hurt that it is made for the gram too. We cannot look at pineapple juice the same way anymore. 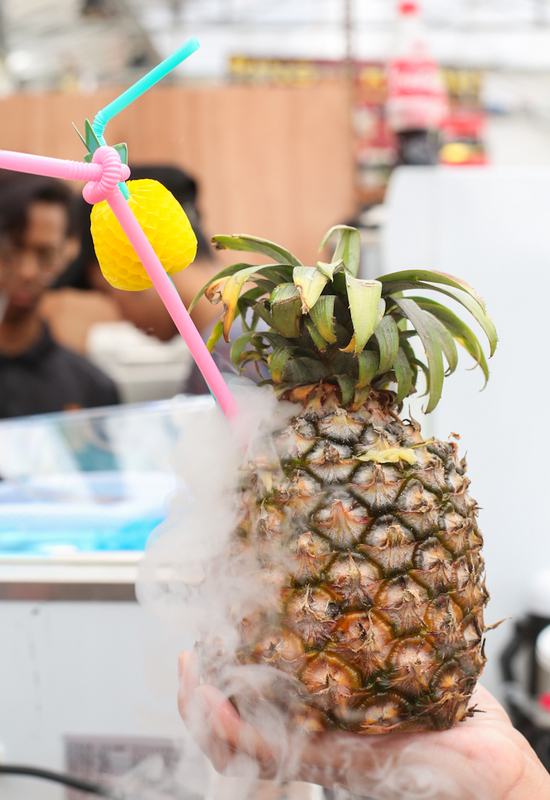 Blending the real pineapple fruit in its pineapple husk and filled with plenty of adorable toppings as well as a ‘smoky’ effect from the liquid nitrogen, this is truly #NextLevel pineapple juice (S$9.90). 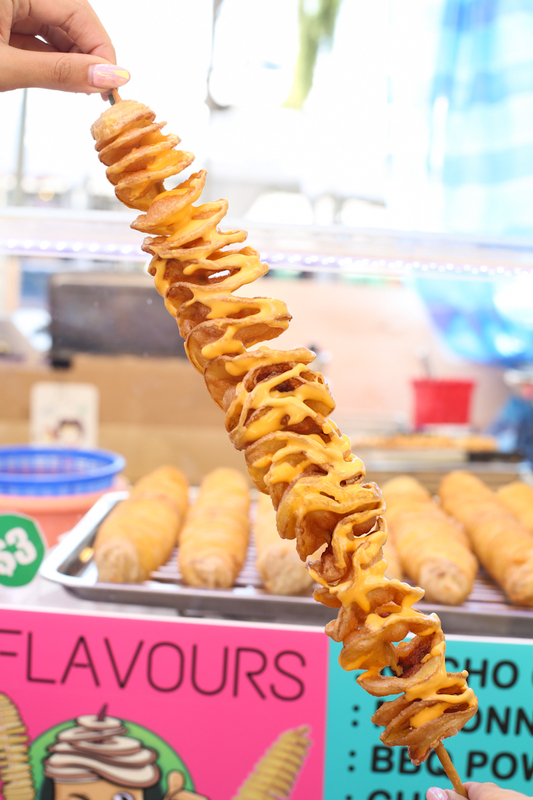 A staple at bazaars, the twist potato (S$3) is a crowd favourite we could not resist ordering. 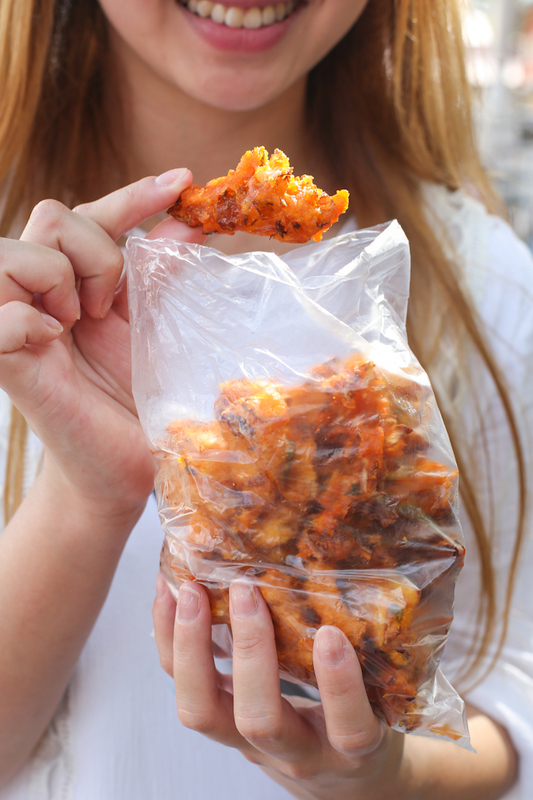 Choose among flavours such as Nacho Cheese, Mayonnaise, BBQ Powder, Curry Powder and Seaweed Powder. Expect to see traditional South Indian snacks such as the mini vadai, which is essentially savoury fried fritters. Some common ingredients include fish, crab and chicken. 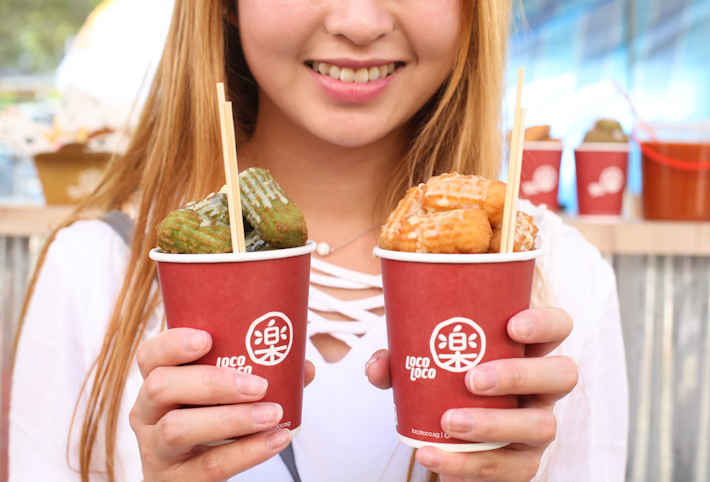 Stalls offering these deep-fried bites are common at Geylang Serai so you are spoilt for choice. 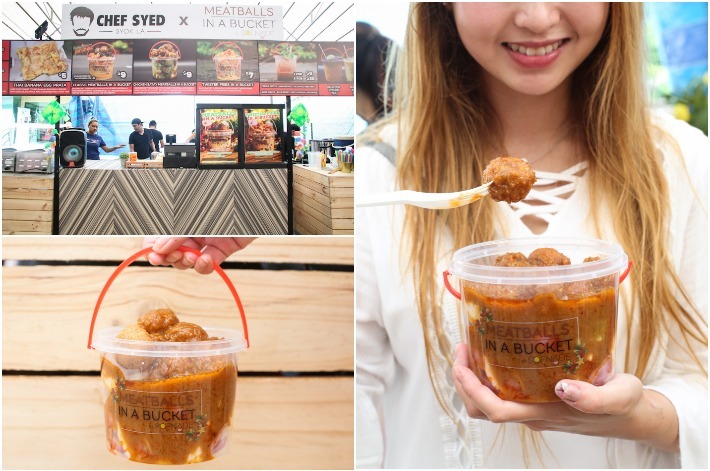 The Chicken Satay Meatballs In A Bucket (S$9) was one of our top picks out of the numerous food items we tried there. Apart from looking good, the satay sauce was extremely flavourful and you get a whole bucket of ingredients such as chicken meatballs, soft ketupat, sliced onions and cucumbers. Making a comeback this year is The Raclette Factory and what you can expect from them is mouthwatering rosti raclette (S$12) that is made up of thin sliced of fried potatoes coated with a generous serving of torched cheese. What’s more, you can also have the rainbow-coloured Lemonster Drink (S$8) to go along with your cheese dish! 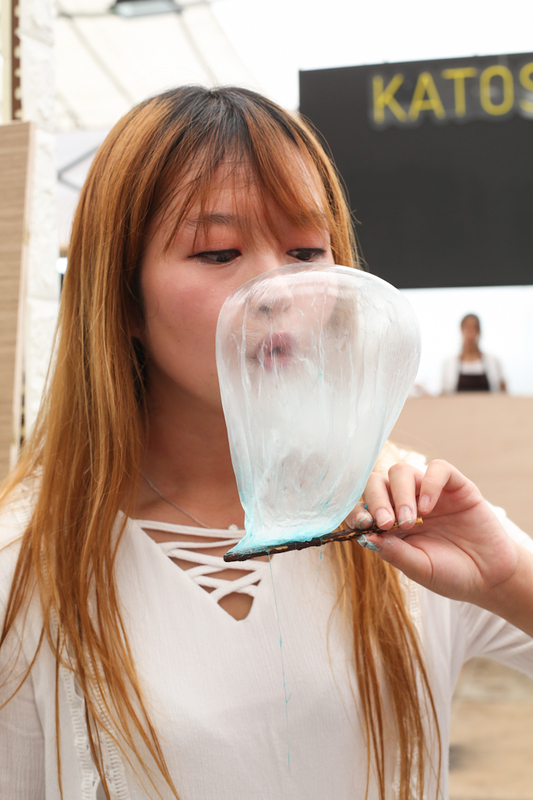 Who can resist trying out an edible balloon (S$8.90)?! These balloons are filled with helium and wrapped around a Pocky stick for consumption. The fun part comes when you inhale all the helium—which turns your voice into Chipmunk-like! 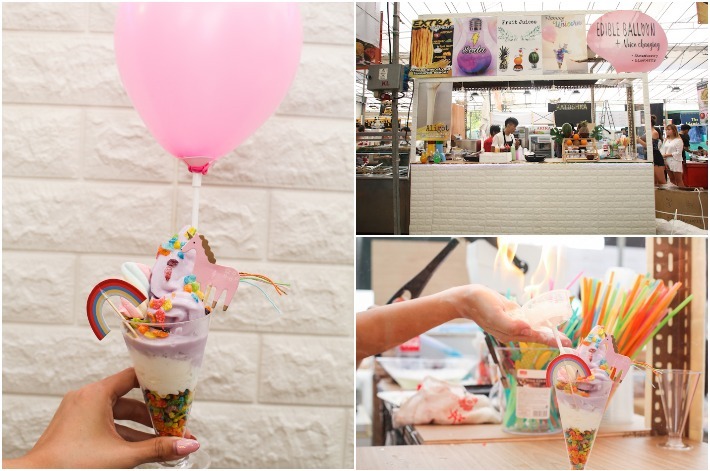 The Flaming Unicorn is a showstopper you should not miss at the night market; the dessert is just like a parfait with fruity pebbles and ice cream on top. But the best part comes when they torch the dessert to give it that extra oomph. Don’t even blink or it will be over before you know it! Love it or hate it, durian is a popular Southeast Asian fruit and what gets better than D24 Durian Churros? That’s right, nothing. At Loco Loco, you can have a cup of durian goodness for S$6. 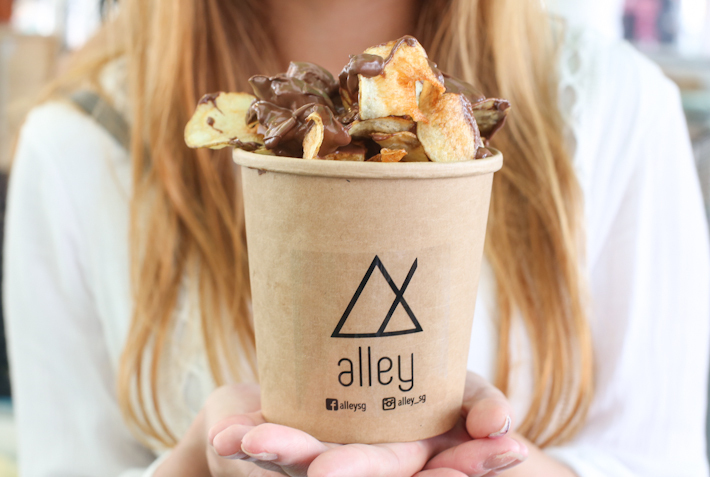 A creation that is remarkably similar to Royce’s Potatochip Chocolate, Alley aims to offer this delicious treat ($6) without a heavy price tag. Whole potatoes are peeled and sliced at the stall before it is drenched with sticky chocolate sauce. Read: Artbox Singapore 2018 – What to expect and the must-visit stalls at this hipster market.